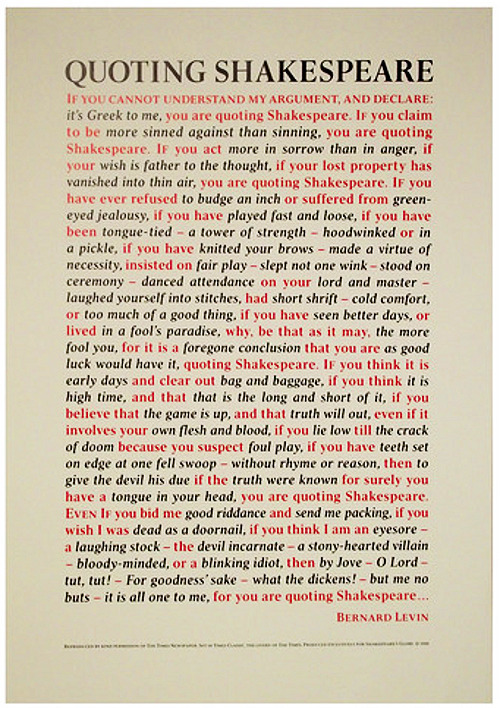 I have this poster above my desk in my office and every time I read it I am surprised how deep William Shakespeare has sunk into the English language. Have you been quoting Shakespeare recently? Posted on September 8, 2014, in blog and tagged english language, poster, quoting shakespeare, shakespeare, william, wordsmith. Bookmark the permalink. Leave a comment.